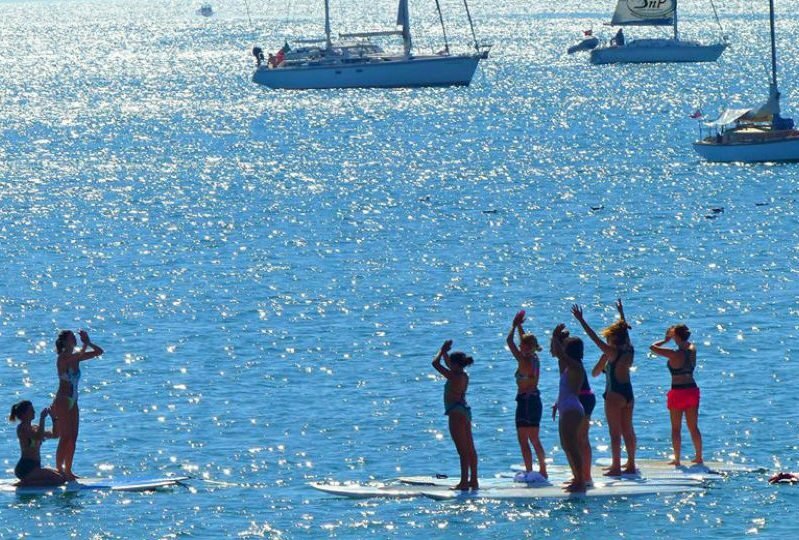 What will we be doing on the Sup Yoga Cascais? Sup Yoga Cascais performed on a Paddle Board. Paddle boards that are especially designed for the participant to enjoy the course to the full. Sup Yoga Cascais aims to introduce you to a unique yoga experience while enjoying the natural splendour of floating on water. If you’re looking for a new challenge, yoga on a stand up paddle board will reinvigorate you and could become one of the highlights of your holiday. Whether you are a beginner or an avid yogi, we can promise that you will have the most amazing time with us. By Train: Travel from Lisbon Cais Do Sodre train station to Cascais, the journey is around 40 minutes and costs around 3.60 €.